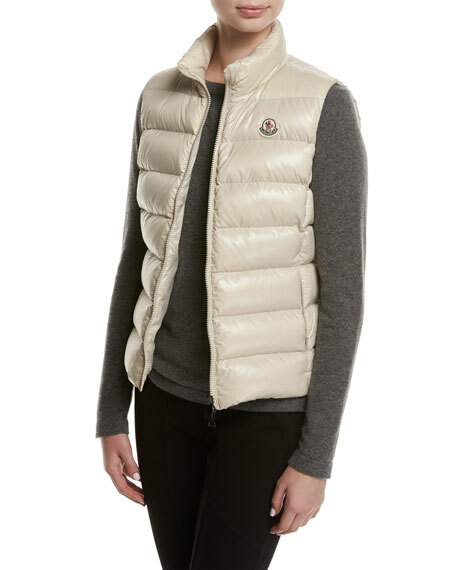 Moncler "Ghany" shiny quilted puffer vest. 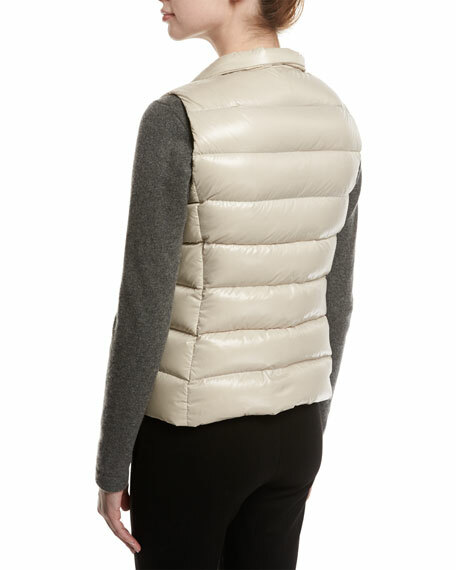 High collar; two-way front zip. For in-store inquiries, use sku #1540405.